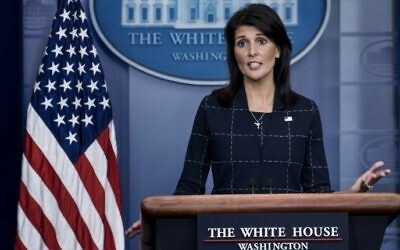 WASHINGTON — The United States rejects the “biased” and “counterproductive” UNESCO resolution passed Tuesday that suggested Israel has no sovereign claim to Jerusalem, a spokesman for the US Mission to the United Nations told The Times of Israel. 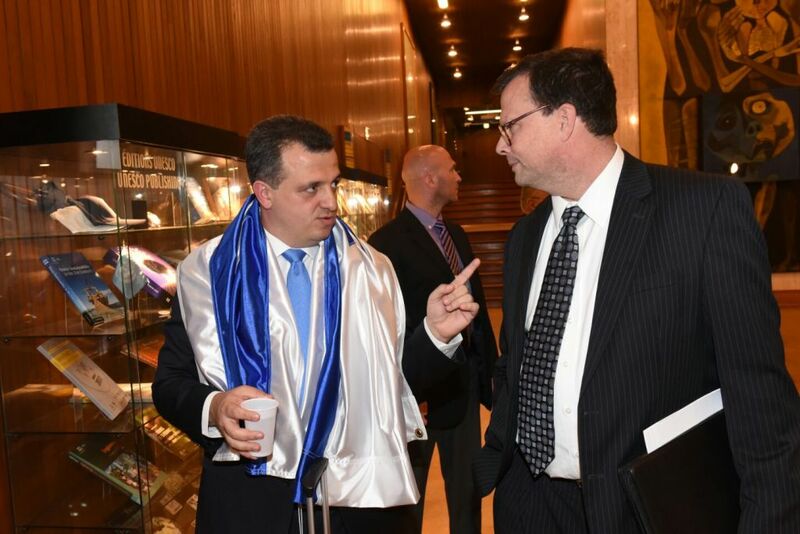 The vote, which coincided with Israel’s 69th Independence Day, was passed Tuesday with 22 countries in favor, 23 abstentions, 10 opposed, and the representatives of three countries absent. Titled “Occupied Palestine,” the resolution refers to Israel as the “occupying power” in Jerusalem — language that indicates it has no legal or historical ties to any part of the city. Such motions that target Israel have become routine at the UN’s cultural body in recent years. 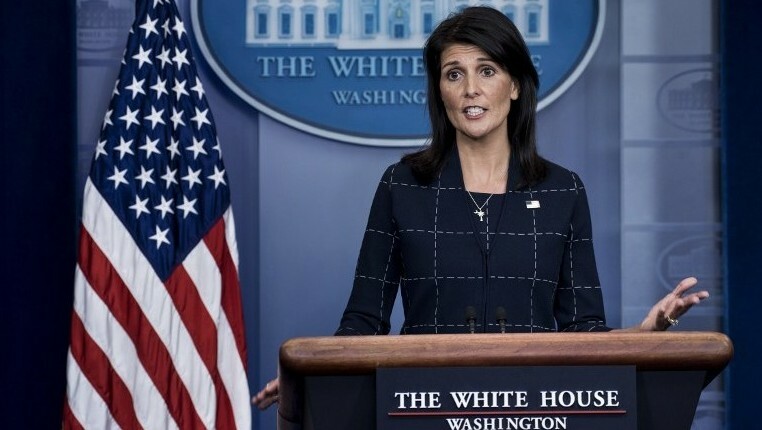 “Although several of these anti-Israel resolutions are typically adopted biannually at UNESCO, over time they have become increasingly political in nature, and now attempt to deny the historic connections of the Jewish people to the holy sites of Jerusalem,” the US official said. The text also castigates Israel’s conduct, including for various construction projects in Jerusalem’s Old City, as well as at holy sites in the West Bank city of Hebron. It also calls for an end to Israel’s blockade of Gaza and does not mention frequent rocket attacks emanating from the Hamas-run coastal enclave. Also unlike previous resolutions, this one does not refer to the Temple Mount only as Haram al-Sharif, or to the Western Wall Plaza only as al-Burak plaza — the respective sites’ Muslim names.The sites are not mentioned at all. Tuesday’s motion received less support than others critical of Israel, something the US official acknowledged. “We are encouraged by the diminishing levels of support for these resolutions, and we are grateful for those member nations who today voted against the resolution,” he said. 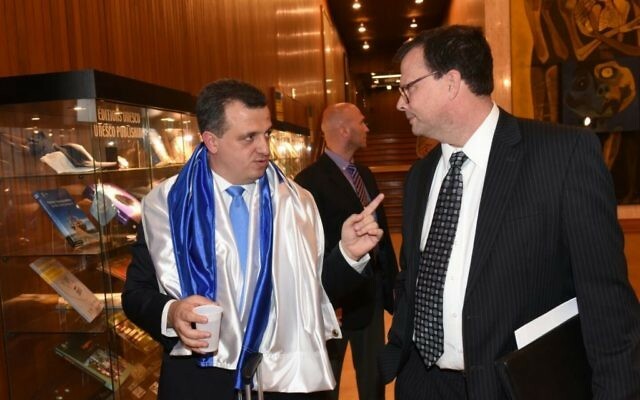 “We are disappointed these kind of resolutions continue to receive attention in UNESCO, and we will continue to advocate for the fair treatment of Israel in all international fora,” he said. 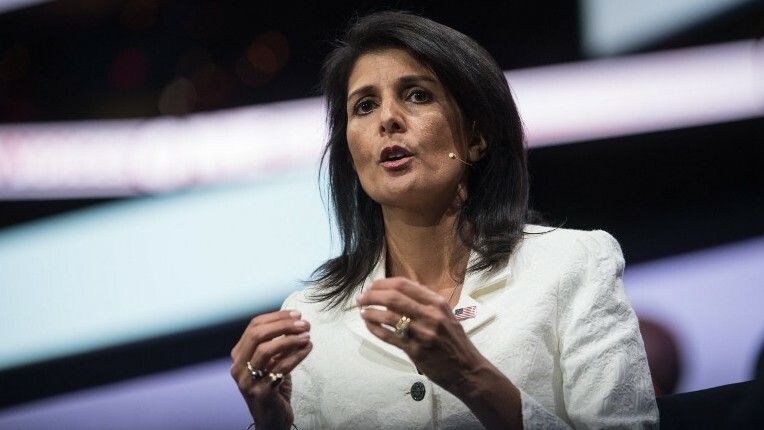 Last Friday, all 100 US senators signed a letter to the United Nations, saying the “unacceptable” treatment of Israel at the international body must end.